David Rivet, a silk merchant and then a ship owner established in Cadiz decided to retire to his native town. In 1786, he had a sumptuous mansion built in the restrained neo-classical style. 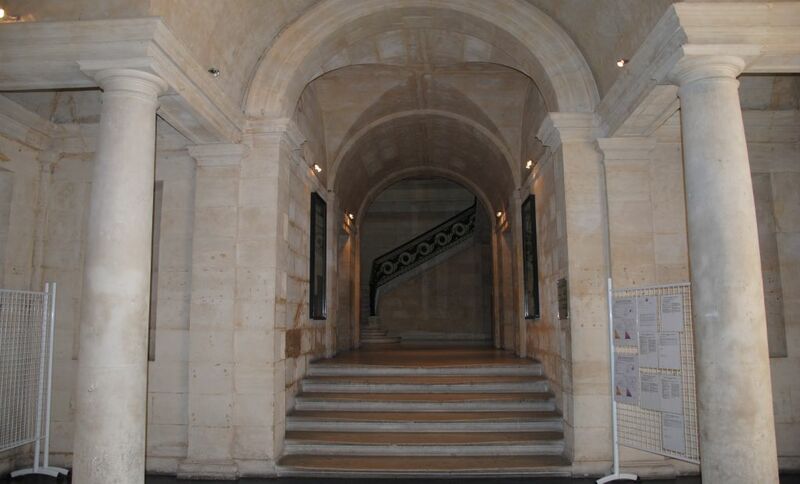 A kind of covered atrium with four columns leads to an extremely elegant staircase. The Ecole Supérieure des Beaux-arts de Nîmes (the Art School) has used the building since 1987. The restoration work carried out then brought a few touches of contemporary art, such as the mosaic by Bernard Pagès on the floor of the entry hall.